RIDING on the critical and commercial success of Wonder Woman, director Patty Jenkins is already working on a script for the sequel. "Patty and I are writing the treatment right now," Johns said. "The goal is to make another great Wonder Woman film." Johns said that he "had a blast" working with Jenkins on the first Wonder Woman, starring Gal Gadot, and that the pair already have a "cool idea" for the follow-up. Warner Bros Pictures President and CCO Toby Emmerich told Variety in a separate interview that the sequel won't take place during World War I like the first, but is still likely to be set in the past. "It will take place somewhere between 1917 and 2017," Emmerich said coyly. 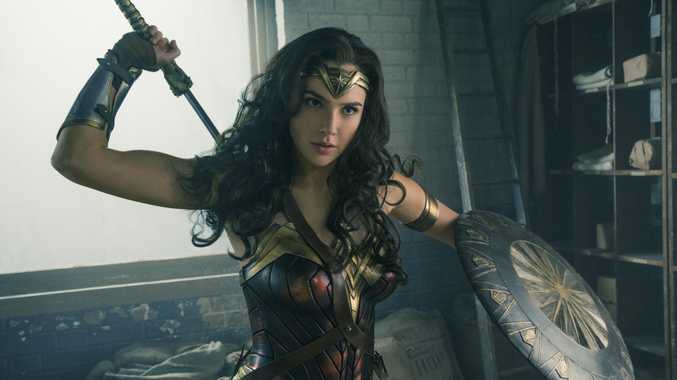 Jenkins said in interviews a few days after the release of Wonder Woman that she would set a sequel in the United States rather than Europe, so if she's involved in the treatment for the sequel, fans may be able to look forward to some Amazonian action stateside. Despite these confirmations of her involvement, however, Warner Bros Pictures has not yet announced if Jenkins will direct the next Wonder Woman film. The superhero epic made $135.4 million ($US100.5m) in its opening weekend in the US. It set a record for the biggest opening weekend for a female-directed film, a record previously held by 50 Shades of Grey. Wonder Woman made an additional $165.1 million ($US122.5m) across 55 territories internationally for a total of $300 million in box office receipts in its first few days of release. Wonder Woman has earned more than $US573 million worldwide to date.